Whether you just purchased your new trampoline or you’re still narrowing down the search, it’s inevitable that you’ll have to assemble it. Setting up a trampoline takes patience. It can be tough if your kids are breathing down your neck anxiously waiting for their new toy. While we all want our kids to start trampolining as soon as it arrives, it’s crucial to take the extra time to ensure a proper setup. The extra time you take upfront will pay huge dividends down the road. You’ll have a safer trampoline that lasts longer. First, you want to confirm that you received the correct number of packages. Trampolines are heavy and usually come in two or three large packages. After you confirm the number of packages, empty each package and make sure you have all the pieces. While we don’t see it with the Skywalker trampolines, a lot of other brands have had complaints of missing pieces. The smallest missing piece could be disastrous; contact the company if you suspect a missing piece. The goal is to get comfortable with your trampoline pieces and get a better understanding of the best spot in your backyard. The main objective is to layout the frame. Check with you instructions to make sure you have the correct pieces in the right area. Many times the frame will have sections that look identical but are meant for specific areas. You will need to consult your instructions for specifics, but you’re looking to get the frame “in place”. This part of the setup is important because you must make sure all the pieces are in the right place. It might look like a perfect fit when you might have something backyards. If you have a power drill, then the frame setup will go much faster. Screwing in the bolts by hand can be a lengthy process. For this part, you will need your spring pulling device and rubber mallet. Double check your instructions to make sure you have the springs aligned properly. Attaching the springs should be easy at first. After you have a section of the springs attached, you will begin to notice that the jumping pad tightens. You will need to use your spring hook to pull the springs to their respective slot. Once the spring hook is hovering over the slot, use your rubber mallet to jolt it into place. After your jumping pad is attached, we recommend putting on the spring cover (unless your bought a SpringFree trampoline). Unless you’ve gone out of your way to purchase a trampoline without an enclosure net, this will be a huge part of your setup. Don’t rush this part as you and your kids safety is on the line. An improper setup of the enclosure net will not provide the safety benefits it is intended for. Also, be sure to add the enclosure pad to each pole. It is possible to have jumper hit the pole, so make sure it is protected to reduce injury. If you don’t feel up to the task, then hire a local handyman. It’s more common than you think, and there will be a ton of prospective helpers ready to put a trampoline together for the right price. Did we mention that it takes patience to assemble a trampoline? If this is your first attempt, then we highly recommend watching the Youtube video below. Note: the video shows a Skywalker trampoline being assembled. Skywalker is our top rated trampoline. Even if you don’t own a Skywalker, you can still take away some helpful tips for your brand. Goodluck with your trampoline setup! 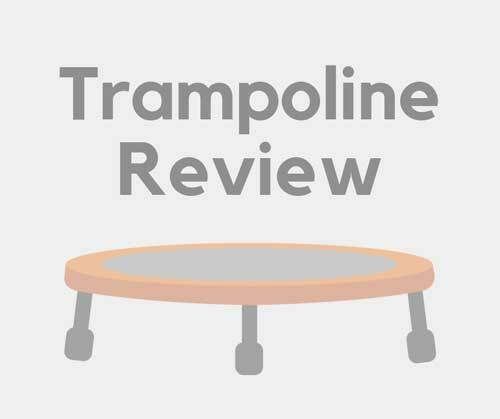 What's The Recommended Age For Trampolines?